The Diablo III economy is looking to get a massive overhaul in a few months, and the first change is going to be to the infamous auction house system. In particular, it’s going away. Not ‘changing’, not ‘being updated’. It’s being eliminated altogether. As of March 18th of 2014, the collective souls of Diablo III’s auctioneers shall be banished to the 7th plane of hell – a flesh-rending place of nightmares and, quite possibly, cows. Alright, perhaps the damnation won’t be happening, but the auction house is going away quite permanently on that date, set months in advance so players can settle their affairs accordingly. (In other words: sell, sell, sell, for whatever prices they can get in the now quite inflation-filled Diablo III economy.) This is only one step in the “Loot 2.0” vision the developers have, a series of changes meant to revamp the game’s reward and incentive system. This is a pretty radical change, and considering how much celebrated the whole auction system was at the game’s launch, one Blizzard deserves credit for taking. Hopefully it will provide a fix to the game’s currently questionable economy. 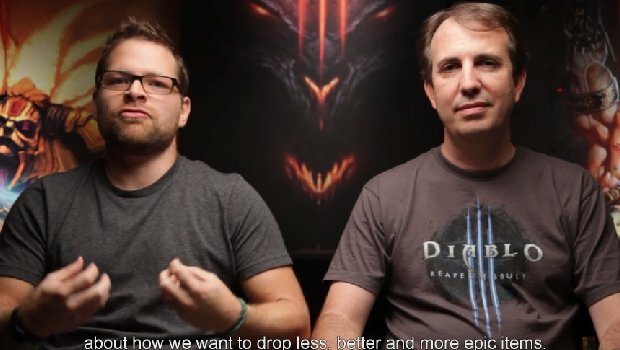 One of the most important lessons to take away from the entire Diablo III auction experience is that, especially in the case of a game with a major online and cooperative presence, there really is such a thing as too much convenience. An easy, secure and convenient way to conduct trades between players ultimately had the effect of magnifying many players’ focus on “the bottom line” over loot. Great equipment for your characters was no longer something you primarily picked up from killing monsters and clearing out bosses: that was where you got your gold. Your actual cutting-edge, high-end equipment? That you got from the auction house. Every level was affected by this, as it was always far less of a hassle to simply spend some gold on the AH to equip your character than to wait for something worthy to drop. Removing the auction house won’t solve this in and of itself, but it’s a first and probably necessary step.